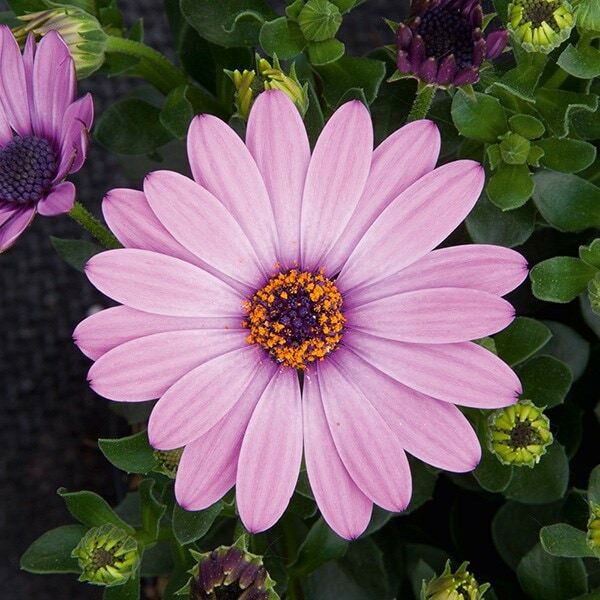 Buy Osteospermum Lavender Pink ('14') Flowerpower series) (PBR) African daisy: Beautiful lavender-pink ray of petals with a central disc of purple and gold. These plants are becoming more popular each year and it is simple to see why. Easy to grow and very showy, the many daisy-like flowers open up in full sun to display a beautiful lavender-pink ray of petals with a central disc of purple and gold. Stunning in containers or as an edging to a border, this plant is sure to delight. Garden care: Grow in full sun to allow the flowers to fully open and deadhead regularly to prolong flowering.